St. Andrew’s Stadium will host Wednesday’s football game between Birmingham City and Sheffield United, the two teams who sit in the opposite parts of the Championship standings. The Blues are fighting hard to secure the survival, whilst the Blades aim to secure automatic promotion to the Premier League. Birmingham City did well to beat Leeds United at the weekend and they must be high on confidence ahead of the midweek fixture. 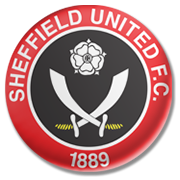 Sheffield United, on the other hand, recorded four wins in previous five league fixtures and thanks to a triumph at Preston they climbed to second place in the standings. A lively contest is on the cards at St. Andrew’s Stadium, but seeing that Sheffield United are more of a team than Birmingham City, we believe that away win should be considered. You should bear in mind that the Blades are eyeing their third consecutive win on the road.